Nick Cave & The Bad Seeds are a stunning concert experience. Playing live has always been at the core of the band's approach, and this only intensified following events in Nick Cave's private life. Losing his son, the grieving process fuelled 2016's 'Skeleton Tree' and granted the following shows an intense sense of transcendence. 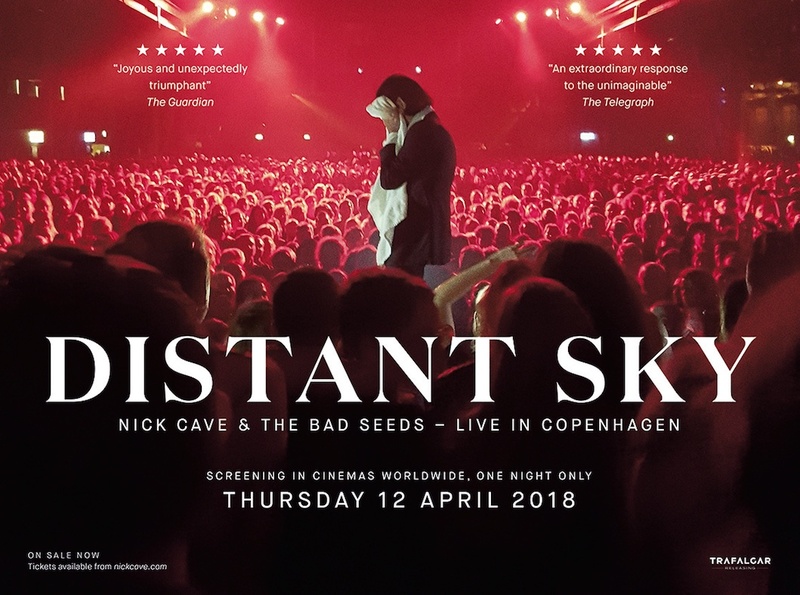 New concert film Distant Sky captures this, an expertly shot feature capturing Nick Cave & The Bad Seeds live in Copenhagen. On April 12th a special cinema experience will take place, with the film being screened in cinemas across the globe for one night only. We've got a special Bad Seeds bundle to give away, featuring tickets to the screening of your choice, alongside some fantastic merch. So, to stand a chance of winning simply tell us the name of the album you'd like to win - and we'll pick one lucky winner.